Now that you have a website the next thing on the list is to attract visitors with the intention of converting them into sales. But where do you start? How can a small business like yours compete with the big players who are already established? There is a wealth of information out there on what are ‘the best ways to drive traffic to your website’. Yet, sometimes, this information is too overwhelming. Relax. Don’t worry! 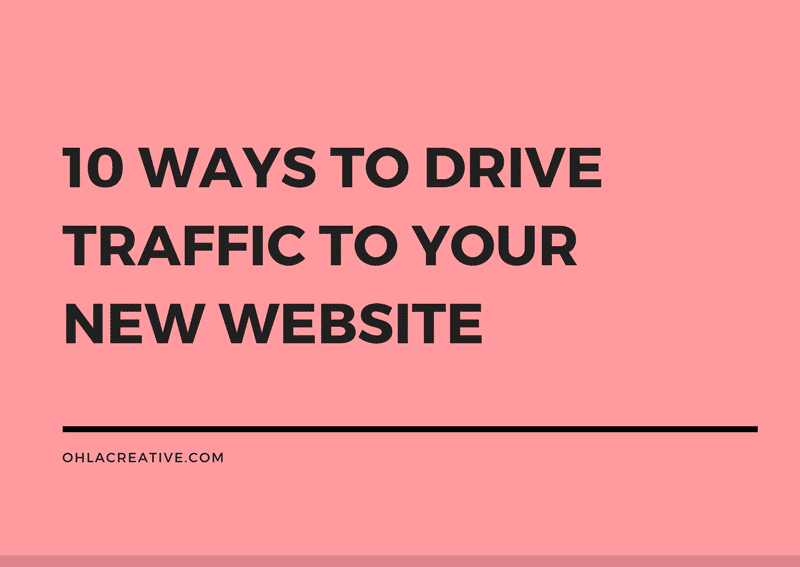 Driving traffic to your new website doesn’t have to be complicated. Of course, great results take time and we all have to start somewhere. But as long as you have a plan and clear about your goals, I’m sure your online business will reap the rewards in the long run. Many businesses underestimate the power of good content. I get it, you have a business to run and you have millions of other things to worry about. By dedicating a little of your time in blogging about your services and products can make a huge impact on your websites popularity. Google favour websites with rich content, videos and images. If your website contains relevant content to the product you’re selling, then it’s more than likely that your post will be indexed in to Googles search engine. I would recommend writing at least two posts a week to give your business website a little traffic boost! Now that you have written a blog post, do not forget to share them on social media. 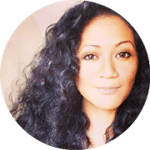 If you’re a little lost about ‘being social’ take a look at my post on social media for startups and small businesses. This guide will give you an idea on which social media platform will be suitable for your business. Over the years social media has become a solid partner for businesses. It can prove very useful especially if you want to promote services and products. Depending on your niche, Instagram, Facebook and Pinterest are great platforms drive traffic to your website. Create posts and images that your potential clients would find visually appealing, valuable, entertaining and good enough to share. Hashtags are keywords used across social media for searching relevant content. It is a great way to categorise your posts and images so that it is easy for people to find them. They are also used for growing followers as they can expand their reach to anyone who has an interest in a specific keyword. Instagram allows you to include 30 hashtags with your posts. But that doesn’t mean that you have to use them all! Think about what keywords are relevant to your images and posts. Take a look at popular tags and plan your strategy. Make notes of relevant hashtags, which ones get the most engagements. ‘Hanging out’ with your own tribe is a great way to get your brand noticed. Join Facebook and LinkedIn networks and find like-minded entrepreneurs for ideas and support. But don’t get carried away, only join communities that relate to your niche. Four or five groups to commit to is enough, otherwise, it will be hard to keep up with them. Did you know that social media profiles are searchable? Writing your social media profile is not just about your name and your website link. Remember social medias such as Twitter and Instagram only allows 160 characters. So, plan it and make sure you write something cool and interesting about yourself and your business. A well-written bio with can encourage people to find out more about you. Be concise, original and more importantly be yourself! Everybody loves a freebie right? Why not give something back by running competitions and promotions. Create something that your audience will be interested in. Incentives are a good way to send traffic and bring a new audience to your website. It can be a service or a product, it all depends on what you think your audience would love! Google AdWords (Pay Per Click PPC) is a great tool if you want to direct visits to your website. AdWords is a marketing service by Google where you pay a fee every time your advert is clicked on. Adwords appear on the top right of the regular search results. It allows you to place a sponsored ad link when someone searches on a keyword related to your business. Be warned that placing PPC’s can prove costly, however if you have a budget it is something to consider along with some effective planning. Even if your business do not take payment information, it is still important that you secure your website with an SSL certificate. This lets your customers know that you take security seriously and the data exchanged between you and them is encrypted. Three years ago Google announced that they will give websites a minor ranking boost if SSL is installed. Which means that your website will be favoured on searches, and more likely to show up first compared to a website without SSL. An influencer can execute your marketing strategies based on your businesses goals. Your business can benefit from a ‘human voice’ by telling your story to their audience through social media channels, blogs or videos. Working with an influencer can make a big difference to how potential customers see your business. Consumers trust a brand or product when it is shared by someone they know and trust. By using an influencer they can tell your brand story in a more human way. Market your business by submitting your website to reputable online directories. By linking your website to well known directories, your business can rank well on search engines like Google, Yahoo and Bing. It is know that search engines favours citations on directories and listing websites.